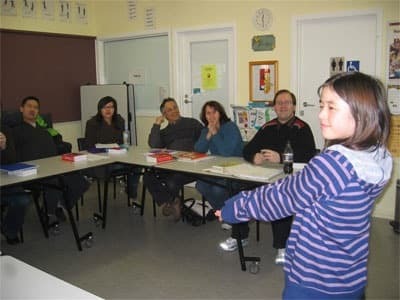 Some of our students having fun with our teacher, Jingjing! 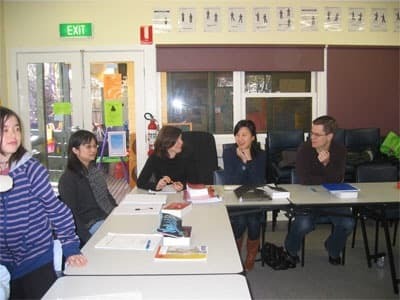 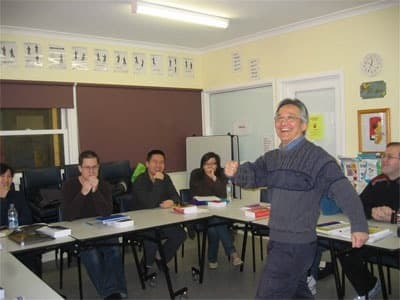 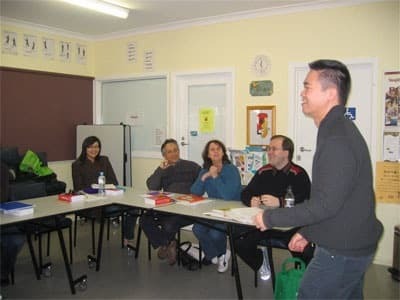 Jingjing, who was originally from Shangahi, is teaching a Level 3 class at Box Hill. 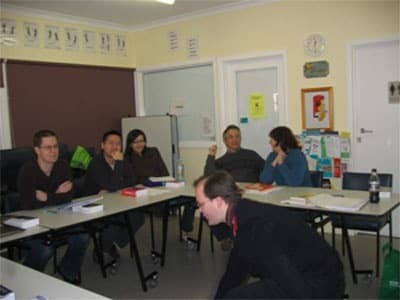 The photos here are showing the students here having a great time doing roleplays from the drama script, 'Our Man in Beijing', which forms the basis of our Level 3 student materials.